HOW DO YOU RECEIVE FAITH FROM THE LORD YOUR GOD? Our teaching continues in Torah, The Law of Moses, from Deuteronomy 10.6-11. AND THE TITLE OF OUR MESSAGE IS, HOW DO YOU RECEIVE FAITH FROM THE LORD YOUR GOD? And with that said, let’s read Deuteronomy 10.6-11. After spending nearly forty years in the wilderness from the time of their Exodus out of Egypt, The Children of Israel were about to enter The Promised Land. The Promised Land was the Land of Canaan. The borders of Canaan were from a River in Egypt to the Euphrates River. And the land of Canaan became The Land of Israel after The Children of Israel conquered and possessed all the Canaanite nations at The Command of The ALMIGHTY GOD. And The Children of Israel renamed Canaan The Land of Israel. But before entering Canaan, some three million Jewish People, including a mixed multitude then and now called The Children of Israel, Moses reminded The People of their history. All that GOD did for them. And The Laws, Teachings and Instructions they must live by as GOD’S Chosen People. GOD completed the Torah, The Law of Moses before The Children of Israel entered The Promised Land. GOD’S Chosen People are also non-Jewish People who Live by GOD’S Laws, Teachings, and Instructions that are written in The Bible including The Law of Moses. And GOD’S Chosen People have Atonement for their sins in The Jewish Messiah Yeshua Who is GOD ALMIGHTY, HA SHEM ELOHIM. And Moses reminded The People of GOD’S Judgments in which The LORD punished them for their sins against The LORD Their GOD. And Moses reminded them that it was The LORD Their GOD Who gave them the Land of Canaan for Their permanent Homeland. DEUTERONOMY 10.6 The Children of Israel were in a place called Beeroth where a people called Jaakan lived about one mile from the border of Canaan in current day Jordan. And they moved on to a place called Mosera, also in current day Jordan. And there Aaron died. Earlier, GOD had told Moses and Aaron that they would not bring The Congregation of The Children of Israel into the land which GOD has given them because they rebelled against GOD. Rebelling against GOD is disobeying GOD. GOD told Moses to speak to the rock before the eyes of The Children of Israel, and the rock will give forth its water. But Moses scolded the people, and he took credit for bringing water out of the rock for the millions of people and their animals when he said, Must we bring you water out of this rock? And he hit the rock twice with his staff. GOD never told Moses to yell at The People or slam the rock with his staff. GOD told Moses to speak to the rock and it will bring forth water for the people and their animals. Therefore GOD said to Moses and Aaron, Because you did not Believe Me, to Sanctify Me in the eyes of The Children of Israel, you shall not bring this Congregation into The Land which I have given them. The lesson here is this. When Jewish People and non-Jewish People disobey anything that GOD says in The Bible, GOD says, You do not Believe Him, nor do you Sanctify Him, and you rebel against Him. The Word Sanctify in Hebrew is Kah’dash, meaning Holy. GOD Teaches all mankind that when we disobey GOD, we do not Believe Him, nor do we Sanctify GOD. And because they disobeyed GOD, Moses and Aaron were punished by The LORD. GOD did not allow them to bring The Congregation of The Children of Israel into The Promised Land, the Land of Canaan. And because Moses and Aaron rebelled against The Commandment of GOD, we learn about Faith. 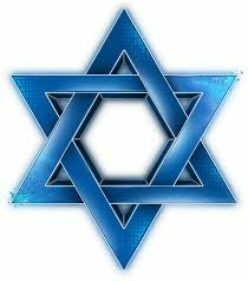 SINCE GOD IS THE GOD OF THE JEWISH PEOPLE AND THE GENTILES, (GENTILES ARE NON-JEWISH PEOPLE) GOD HAS ONLY ONE LAW FOR ALL MANKIND. THAT LAW IS THE LAW OF MOSES, FOR GOD IS THE GOD OF THE JEWS AND THE GENTILES. PAUL CONTINUES HIS TEACHING IN ROMANS 3.30. SEEING IT IS ONE GOD WHICH SHALL JUSTIFY THE JEWISH PEOPLE BY FAITH, AND THE GENTILES THROUGH FAITH. PAUL TEACHES THAT BOTH JEWS AND GENTILES ARE JUSTIFIED, THAT IS, DECLARED RIGHTEOUS BY FAITH. SO WHAT IS FAITH? ESPECIALLY FAITH IN GOD? AND HOW ARE WE JUSTIFIED BY GOD THROUGH FAITH? MOSES AND AARON MOMENTARILY LOST THEIR FAITH IN GOD WHEN THEY DISOBEYED THE LORD THEIR GOD. HOW ARE WE JUSTIFIED THROUGH FAITH? REMEMBER, FAITH IS A STRONG BELIEF IN GOD, AND A STRONG BELIEF IN THE TEACHINGS OF GOD THAT ARE TAUGHT IN THE BIBLE THAT INCLUDE TORAH, THE LAW OF MOSES. THE HEBREW WORD FOR HEARING, AS IN, FAITH COMES BY HEARING, AND HEARING BY THE WORD OF GOD, COMES FROM THE HEBREW WORD SH’MA THAT MEANS, HEARING AND OBEYING. HEARING GOD, AND OBEYING GOD. SO FAITH COMES BY HEARING WHAT GOD SPEAKS IN THE BIBLE, AND OBEYING WHAT GOD SPEAKS IN THE BIBLE. GOD GIVES YOU FAITH WHEN YOU OBEY THE WORD OF GOD. AND THE WORD OF GOD INCLUDES TORAH, THE LAW OF MOSES. WE MAKE THE LAW OF MOSES PERMANENT IN OUR LIFE. DEUTERONOMY 10.6 Tells us that Aaron died in Mount Hor, and was buried there before The Children of Israel entered The Promised Land. And his son Eleazar took his place as High Priest. As GOD had said earlier, Aaron will not bring The Congregation of The Children of Israel into The Land that GOD has given them because of Aaron’s disobedience against GOD. DEUTERONOMY 10.7 From the place called Mosera, The Children of Israel journeyed to Gudgodah, then to Jotbath that The Bible describes as a land of rivers of waters. The location of both places is uncertain, but certainly in the wilderness in current day Jordan not far from the border of Canaan. DEUTERONOMY 10.8-9 This is a huge ministry for The Levites. GOD separated the Tribe of Levi to Carry The Ark of The Covenant of The LORD, to Stand Before The LORD to Minister to Him, and to Bless in His Name, even to the time of this writing in Torah. THE LEVITES DID NOT INHERIT ANY LAND IN ISRAEL AS THE OTHER TRIBES DID. THEIR INHERITANCE FROM GOD IS THE PRIESTHOOD THAT DESCENDS FROM THE MALE OFFSPRING OF AARON WHO ARE LEVITES. AND THE LEVITES WERE ASSIGNED TO THE OTHER TRIBES THROUGHOUT ISRAEL TO SERVE GOD AND TEACH THE PEOPLE TORAH, THE LAW OF MOSES, AND ALL THE WORD OF GOD. DEUTERONOMY 10.10-11 THE CHILDREN OF ISRAEL HAD MADE AN IDOL, THE GOLDEN CALF. AND THEY WORSHIPED IT, AND SACRIFICED TO IT, AND SAID, THIS IS YOUR GOD O ISRAEL THAT BROUGHT YOU UP OUT OF THE LAND OF EGYPT. AND IN GOD’S WRATH, HE THOUGHT TO DESTROY HIS PEOPLE. BUT THE LORD TOLD MOSES WHEN HE WAS IN THE MOUNTAIN FORTY DAYS AND FORTY NIGHTS THAT HE WOULD NOT DESTROY THE CHILDREN OF ISRAEL. AND GOD SAID TO MOSES, ARISE, TAKE YOUR JOURNEY BEFORE THE PEOPLE, THAT THEY MAY GO IN AND POSSESS THE LAND WHICH I SWORE TO THEIR FATHERS TO GIVE TO THEM. AND AS GOD SAID, MOSES DID NOT LEAD THE PEOPLE INTO CANAAN BECAUSE OF HIS MOMENTARY LACK OF FAITH IN THE LORD HIS GOD. THE LORD CHOSE JOSHUA TO LEAD THE CHILDREN OF ISRAEL INTO THE PROMISED LAND. Posted on April 29, 2018 May 2, 2018 Categories Shabbat MessageLeave a comment on HOW DO YOU RECEIVE FAITH FROM THE LORD YOUR GOD? WHAT IS THE MYSTERY OF THE KINGDOM OF GOD? We will continue our Teaching in Torah, The Law of Moses from Deuteronomy 10.1-5. AND THE TITLE OF OUR MESSAGE IS, WHAT IS THE MYSTERY OF THE KINGDOM OF GOD? And with that said, let’s read Deuteronomy 10.1-5. For the most part, The Book of Deuteronomy reviews The Torah. And as you all know, The Torah is The Law of Moses Written in the first five Books of The Bible. While Moses was on Mount Sinai for forty days and forty nights with THE LORD GOD ALMIGHTY speaking face to Face with GOD, The Children of Israel corrupted themselves by making an idol, a golden calf. And they worshiped the idol, and sacrificed to it, and said, This is your GOD O Israel which brought you out of the land of Egypt. And GOD’S anger was so hot against His People that He thought to destroy them all and make of Moses a great nation. But Moses interceded for The People and GOD changed His mind of the evil that He thought to do to His People. And Moses returned and went down from Mount Sinai with The Two Tablets of Stone that contained The Ten Commandments that were The Work of GOD, and The Writing was The Writing of GOD engraved in The Stones. And when Moses saw the idol, the golden calf, and the dancing, The Bible says, Moses’ anger waxed hot, and he threw the two tablets of stone out of his hands and broke them beneath the mountain. And Moses burned the golden calf which they had made, and ground it into powder, and tossed it on the water, and made The Children of Israel drink it. And the following day, Moses said to The People, You have sinned a great sin, and now I will go up to The LORD and perhaps I will make an atonement for your sin. And Moses returned to The LORD, and said to The LORD GOD, Oh, this People have sinned a great sin and have made them a god of gold. Yet now LORD, if you will forgive their sin, and if not, please blot me out of Your Book that You have Written. GOD’S Book that He has Written is The Book of Life. And The LORD said to Moses, Whosoever has sinned against Me, him will I blot out of My Book. Therefore now go. Lead The People to the place of which I have spoken to you. That place was the land of Canaan, The Promised Land. And GOD said, Behold, My Angel shall go before you. Nevertheless, in the day when I visit, I will visit their sin upon them. And The LORD said to Moses, Carve two Tablets of Stone like the first, and come up to Me in the mountain. And make an ark of wood. And I will write on The Tablets The Words, that is The Ten Commandments that were in the first Tablets which you broke. And you shall put them in The Ark. THE ARK OF THE COVENANT CONTAINED GOD’S COVENANT, THE TEN COMMANDMENTS. THE TEN COMMANDMENTS ARE THE WORD OF GOD THAT IS LAW. And Moses did as The LORD said. THE BOOK OF DEUTERONOMY REVIEWS THE TORAH, GOD’S LAW OF MOSES. BUT VERY FEW PEOPLE SEE OR UNDERSTAND THAT THE NEW TESTAMENT CONTINUES WITH TORAH, GOD’S LAW OF MOSES. AND THAT IS A MYSTERY. THIS MYSTERY IS TRUTH THAT IS NOT SEEN NOR UNDERSTOOD BY MANY PEOPLE. ALTHOUGH THE LAW OF MOSES IS THE WORD OF GOD, AND EXPLAINED THROUGHOUT THE BIBLE, THE LAW OF MOSES IS A MYSTERY. OUTSIDE JUDAISM, THE LAW OF MOSES IS NOT SEEN OR UNDERSTOOD. IT IS A MYSTERY TO MOST PEOPLE THAT GOD’S TORAH, THE LAW OF MOSES IS THE FOUNDATION OF BOTH THE OLD AND THE NEW TESTAMENTS. MESSIAH YESHUA IS OUR ATONEMENT. THE MYSTERY OF THE KINGDOM OF GOD IS WRITTEN THROUGHOUT THE BIBLE. TO OBEY IS BETTER THAN SACRIFICE, AND OBEDIENCE THAN THE FAT OF RAMS. IN VERSE 23, THE WORD REJECTED IN HEBREW, AS IN, YOU HAVE REJECTED THE WORD OF THE LORD, IS MAH’AHS’TAH, MEANING, REPROBATE. GOD LIVES HIS LIFE BY ALL HIS LAWS AND COMMANDMENTS THAT ARE WRITTEN IN THE BIBLE. GOD ALMIGHTY, WHO IS MESSIAH YESHUA, HAS GIVEN THE WORLD HIS TORAH, HIS LAW OF MOSES FOR THEIR GOOD. WHEN MANY PEOPLE WERE GATHERED TOGETHER, THEY CAME TO MESSIAH FROM EVERY CITY IN ISRAEL, AND YESHUA SPOKE A PARABLE TO THEM. THIS WORD PERFECTION COMES FROM THE GREEK WORD “TELESPHOREO” THAT MEANS “PURPOSE”. THESE PEOPLE WHO RECEIVE THE WORD OF GOD THAT FELL AMONG THORNS DO NOT UNDERSTAND THE PURPOSE OF THE BIBLE. THE PURPOSE OF THE BIBLE IS TO TEACH ALL MANKIND TO OBEY GOD. TO BE OBEDIENT TO HIS TORAH, THE LAW OF MOSES, AND OBEDIENT TO EVERY WORD THAT GOD SPEAKS IN THE BIBLE. AND KNOW AND BELIEVE THAT THERE IS ONLY ONE GOD AND NO OTHERS. AND HAVING FAITH IN THE MESSIAH YESHUA FOR YOUR ATONEMENT. AND BY DOING AS GOD SAYS, GOD WILL GIVE YOU A GOOD LIFE ON EARTH AND ETERNAL LIFE IN HEAVEN. THAT IS THE PURPOSE OF THE BIBLE. A HUNDREDFOLD IS MUCH GODLY FRUIT. AND MESSIAH, EXPLAINING TO HIS DISCIPLES SAID, THE SEED ON THE GOOD GROUND ARE THEY WHICH IN AN HONEST AND GOOD HEART HAVING HEARD THE WORD OF GOD, KEEP IT, AND BRING FORTH FRUIT WITH PATIENCE. THEY HEAR THE WORD OF GOD, THEY OBEY THE WORD OF GOD, AND THEY KEEP THE WORD OF GOD. AND THEY LIVE BY THE WORD OF GOD. EPHESIANS 5.9 THE FRUIT OF THE SPIRIT IS IN ALL GOODNESS AND RIGHTEOUSNESS AND TRUTH. THE FRUIT OF THE SPIRIT IS RIGHTEOUSNESS. DOING RIGHT BY OBEYING GOD’S LAW OF MOSES, AND EVERY WORD THAT GOD SPEAKS IN THE BIBLE. THE FRUIT OF THE SPIRIT IS ALSO GOODNESS AND TRUTH. BRINGING FORTH FRUIT WITH PATIENCE IS LIVING YOUR LIFE IN RIGHTEOUSNESS, GOODNESS, AND TRUTH. AND WHEN MESSIAH HAD SAID THESE THINGS, HE CRIED, HE THAT HAS EARS TO HEAR, LET HIM HEAR. MEANING, HE OR SHE WHO HAS EARS LET THEM HEAR AND OBEY. THAT IS, THEY WHO HAVE EARS, LET THEM HEAR THE WORD OF GOD, AND OBEY THE WORD OF GOD. THE MYSTERY OF THE KINGDOM OF GOD IS WRITTEN IN THE BIBLE FOR EVERYONE TO SEE AND UNDERSTAND. WHAT IS WRITTEN IN THE BIBLE THROUGHOUT IS THE WORD OF GOD THAT INCLUDES THE LAW OF MOSES THAT GOD REQUIRES YOU TO OBEY. BUT THAT IS A MYSTERY TO THE WORLD. THE WORLD, FOR THE MOST PART, DOES NOT SEE THE WORD OF GOD, NOR DO THEY UNDERSTAND THE WORD OF GOD THAT INCLUDES THE LAW OF MOSES. AND THAT IS THE MYSTERY OF THE KINGDOM OF GOD. THAT IS THE MYSTERY TO HAVE A RELATIONSHIP WITH GOD ALMIGHTY, THE MESSIAH YESHUA, AND ETERNAL LIFE IN HEAVEN. GOD REQUIRES YOU TO OBEY HIM, TO OBEY EVERY WORD HE SPEAKS IN THE BIBLE, AND THAT INCLUDES TORAH, THE LAW OF MOSES. AND GOD REQUIRES YOU TO BELIEVE IN ONE GOD, AND TO HAVE FAITH IN HIM WHO IS MESSIAH YESHUA FOR YOUR ATONEMENT. AND THAT IS THE WILL OF GOD TO ENTER INTO THE KINGDOM OF HEAVEN. THE MYSTERIES OF THE KINGDOM OF GOD ARE WRITTEN IN THE MOST POPULAR BOOK IN THE WORLD, THE BIBLE. BUT MOST PEOPLE DO NOT KNOW IT, NOR SEE IT, NOR DO THEY UNDERSTAND IT. AND THEREFORE THE KINGDOM OF GOD IS A MYSTERY. BUT TO YOU, A DISCIPLE OF MESSIAH YESHUA, IT IS GIVEN TO YOU TO KNOW THE MYSTERIES OF THE KINGDOM OF GOD. BUT TO OTHERS IN PARABLES THAT SEEING THEY DO NOT SEE, AND HEARING, THEY DO NOT UNDERSTAND. Posted on April 22, 2018 April 25, 2018 Categories Shabbat MessageLeave a comment on WHAT IS THE MYSTERY OF THE KINGDOM OF GOD? DO NOT MAKE GOD ANGRY. Our teaching this morning will continue in Torah, The Law of Moses from Deuteronomy 9.6-29. AND THE TITLE OF OUR MESSAGE IS, DO NOT MAKE GOD ANGRY. And with that said, let’s read Deuteronomy 9.6-29. Now these words that Moses spoke to The Children of Israel may have come from The Lips of GOD, or may simply have come from the heart of Moses. Moses said to The Children of Israel, Understand therefore, that The LORD YOUR GOD does not give you this good land to possess it for your righteousness, for you are a stiffnecked People. That is to say, You are a stubborn People. Remember, Moses said, and do not forget how you provoked THE LORD YOUR GOD to wrath in the wilderness from the day that you departed out of the land of Egypt, until you came to this place, you have been rebellious against The LORD. The Children of Israel spent 400 years in Egypt under the hard hand of Egyptian slavery before The LORD GOD led them out in The Exodus to The Promised Land Canaan. Not much is recorded in The Bible about the lifestyle of The Children of Israel during their 400 years of Egyptian slavery except that they lived in a place called Goshen. Were they religious? Were they Holy to The LORD THEIR GOD? Did they obey Him? We know very little about their religious observance. However we do know that when Moses was a baby, because the Egyptian king, who did not know Joseph, had set out to kill all the newborn Hebrew male children, the mother of Moses put her baby Moses into a little ark and set it among the reeds at the bank of the river putting him in The Hands of GOD. The fathers of Judaism are Abraham, Isaac, and Jacob. And Joseph was the Governor of Egypt under Pharaoh when the Children of Israel were invited by Joseph and Pharaoh to move down from Canaan to Egypt during the time of a great famine. That was 400 years before Moses became GOD’S servant to deliver The Children of Israel out of Egypt. And the entire Jewish population then was seventy people. But those four men, Abraham, Isaac, Jacob and Joseph were GODLY men. They were Holy men because they obeyed all GOD’s Laws, Teachings and Instructions of their day. They knew and believed that GOD created the heavens and the earth. They obeyed the food laws of GOD that were known of and obeyed by Noah and his family. And they observed The Sabbath that GOD ordained on the seventh day when GOD completed The Creation in six days. And they observed the Covenant of circumcision. And Abraham believed in One GOD. The Bible says that Abraham obeyed The Voice of GOD, and kept GOD’S Instructions, and Commandments, and GOD’S Statutes and Laws. So I say with confidence that this tradition of Holiness, Obeying every Word that GOD speaks, was passed on from Abraham, Isaac, Jacob and his twelve sons including Joseph and Jacob’s daughter Dinah to The Children of Israel during their 400 years of Egyptian slavery. ABRAHAM BELIEVED IN ONE GOD. Now, some 3,400 years ago when The LORD GOD Delivered His People out of Egypt, The Children of Israel had grown into a great nation of some three million people. And after 400 years of slavery, The LORD GOD immediately began teaching His People His Laws, Teachings and Instructions in the wilderness of Sinai, from The Mouth of GOD directly to Moses. And Moses then taught The Children of Israel what GOD taught him. And what GOD taught Moses and The Children of Israel is The Law of Moses that Judaism calls Torah. But The Children of Israel blew it. They messed up because they disobeyed GOD. They disobeyed GOD’S Laws, His Teachings, and His Instructions. And that is sin. And because of their disobedience to GOD, they caught GOD’S wrath. Listen to this carefully. GOD’S People, whether you are Jewish or not, are like Abraham, Isaac, Jacob, Joseph and Moses, and Messiah Yeshua. When GOD says, You shall be Holy for I The LORD Your GOD am Holy, GOD means that He, GOD ALMIGHTY is Holy because He Lives His Life according to every Law, Teaching, and Instruction that is written in The Law of Moses. And every Word He speaks in The Bible. 1 PETER 2.21-22 Messiah is Holy because He did not and does not sin because He lives His Life in obedience to Torah, The Law of Moses. And every Word that proceeds out of The Mouth of GOD written in The Bible. THEREFORE THOSE WHO TEACH THAT THE LAW OF MOSES IS ABOLISHED ARE ABSOLUTELY WRONG. Here are just a couple examples of GOD’S wrath against His People, The Children of Israel because of their sin. Their disobedience to The LORD THEIR GOD. ISAIAH 40.8 THE LAW OF MOSES IS THE WORD OF GOD. The Children of Israel messed up. Look at the world today. Why do you think the world is so messed up? Why? Because all the nations, aside from Israel, and Israel has their own problems, especially rejecting their GOD and Messiah, YESHUA HA MASHIAKH WHO IS THE GOD OF ISRAEL, HA SHEM ELOHIM. But the entire world, aside from Israel, rejects all GOD’S Laws, Teachings and Instructions that are Written in The Law of Moses. PSALM 2.1 The word HEATHEN in Hebrew is GOYIM meaning GENTILES AND NATIONS. The Word IMAGINE in Hebrew is HAH’GAH that means TO TALK, TO SPEAK, AND IMAGINE. The vain thing that the heathen imagine and talk about is written in Verses 2 and 3. THE HEATHEN THROW AWAY AND REJECT ALL GOD’S LAWS THAT ARE WRITTEN IN THE LAW OF MOSES. VERSES 2-3 THE KINGS OF THE EARTH SET THEMSELVES, AND THE RULERS TAKE COUNSEL TOGETHER AGAINST THE LORD AND AGAINST HIS ANOINTED, SAYING, LET US TEAR APART THEIR BANDS AND THROW OFF FROM US THEIR CORDS. THE BANDS AND CORDS OF GOD AND HIS ANOINTED THAT THE HEATHEN AND THE PEOPLE THROW OFF ARE GOD’S LAWS, TEACHINGS, AND INSTRUCTIONS THAT ARE WRITTEN IN THE LAW OF MOSES. THE HEATHEN AND THE PEOPLE THROW AWAY THE LAWS, TEACHINGS AND INSTRUCTIONS OF GOD THAT ARE WRITTEN IN THE BIBLE. AND VERSES 4-5 READ, HE THAT SITS IN THE HEAVENS SHALL LAUGH. THE LORD SHALL HAVE THEM IN DERISION. THEN SHALL HE SPEAK TO THEM IN HIS WRATH AND VEX THEM, THAT IS, GOD WILL TROUBLE THEM IN HIS SORE DISPLEASURE. THE WORD DERISION MEANS RIDICULE AND MOCKERY. THE LORD HAS THE NATIONS IN DERISION. THE WORLD IS MESSED UP. AND GOD LAUGHS AT THE NATIONS IN SCORN AND CONTEMPT, AND MOCKS THEM. GOD TREATS THE NATIONS WITH RIDICULE AND CONTEMPT BECAUSE THE NATIONS HAVE THROWN AWAY THE TEACHINGS OF GOD ALMIGHTY AND HIS ANOINTED MESSIAH YESHUA. AND MESSIAH YESHUA IS THE HOLY ONE OF ISRAEL, GOD ALMIGHTY, THE FATHER. AND BECAUSE THE NATIONS HAVE THROWN AWAY GOD’S LAW OF MOSES, GOD HAS THE WORLD IN DERISION. AND IN HIS WRATH, GOD TROUBLES THEM IN HIS SORE DISPLEASURE. The Children of Israel had thrown away The Laws of GOD provoking The LORD THEIR GOD to anger to the point of destroying His People. Therefore Moses said to The Children of Israel, Yet The LORD has not given you a heart to understand, or eyes to see, or ears to hear to this day. And still many Jewish People will not believe that Yeshua The Messiah is not only their Messiah, He is The Holy One of Israel, GOD ALMIGHTY. SO, HOW DO YOU PREVENT GOD FROM BEING ANGRY WITH YOU? GOD SAYS, THE DAYS COME THAT HE WILL MAKE A NEW COVENANT WITH THE HOUSE OF ISRAEL AND THE HOUSE OF JUDAH. AND GOD HAS MADE A NEW COVENANT WITH THE HOUSE OF ISRAEL. THE NEW COVENANT IS MESSIAH YESHUA WHO IS GOD ALMIGHTY WHO FORGIVES YOU ALL YOUR SINS. HE IS YOUR ATONEMENT THAT REPLACES THE ANIMAL SACRIFICE FOR ATONEMENT BECAUSE THERE IS NO TEMPLE IN JERUSALEM. AND WHEN YOU RECEIVE MESSIAH YESHUA, GOD’S NEW COVENANT, THE LORD WILL PUT HIS LAW IN YOUR INWARD PARTS AND WRITE IT IN YOUR HEART, AND GOD WILL BE YOUR GOD AND YOU WILL BE HIS PEOPLE. GOD’S LAW IS HIS TORAH, HIS LAW OF MOSES THAT HE PUT IN YOUR INWARD PARTS AND WROTE IT IN YOUR HEART WHEN YOU CAME TO FAITH IN THE JEWISH MESSIAH YESHUA. WHEN YOU OBEY GOD’S LAW OF MOSES EVERY DAY AND EVERY NIGHT FOREVER, HAVING MESSIAH YESHUA AS YOUR ATONEMENT, GOD WILL FORGIVE YOUR INIQUITY AND HE WILL REMEMBER YOUR SIN NO MORE. THAT IS HOW YOU PREVENT THE LORD YOUR GOD FROM BEING ANGRY WITH YOU. BY RECEIVING MESSIAH YESHUA, GOD’S NEW COVENANT FOR ATONEMENT. AND LIVING YOUR LIFE ACCORDING TO GOD’S LAW OF MOSES THAT GOD HAS PUT IN YOUR INWARD PARTS, AND WROTE IT IN YOUR HEART WHEN YOU RECEIVED MESSIAH. RECEIVING MESSIAH YESHUA, THE NEW COVENANT TO MAKE ATONEMENT FOR YOUR SINS, AND BEING OBEDIENT TO GOD’S TORAH, HIS LAW OF MOSES IS THE GOSPEL FOR YOU TO HAVE A GOOD LIFE, EVEN A WONDERFUL LIFE ON EARTH, AND ETERNAL LIFE IN HEAVEN. AND GOD WILL NEVER BE ANGRY WITH YOU. IN FACT, GOD WILL SAY TO YOU, WELL DONE MY GOOD AND FAITHFUL SERVANT. Posted on April 15, 2018 April 17, 2018 Categories Shabbat MessageLeave a comment on DO NOT MAKE GOD ANGRY. Our teaching from Torah, The Law of Moses, will continue from Deuteronomy 9.1-5. AND THE TITLE OF OUR MESSAGE IS, WHAT IS THE GOSPEL? And with that said, let’s read Deuteronomy 9.1-5. Before explaining What The Gospel is according to The Bible, let’s first look into The Verses of Deuteronomy 9.1-5. DEUTERONOMY 9.1-2 Hear O Israel, Moses said to The Children of Israel. You are to pass over The Jordan River this day to go in to possess nations greater and mightier than yourself, cities great and fenced up to Heaven. A people great and tall, the children of the Anakim whom you know, and of whom you have heard say, Who can stand before the children of Anak? I believe these Words that Moses spoke to The Children of Israel are directly from The Voice of GOD. Think on this setting for a moment. Here are a People, The Children of Israel, who today are The Jewish People, had been slaves in Egypt for 400 years. And as hard as I try, I cannot relate to being a slave, let alone being in a family that was in slavery for 400 years. But the history of The Jewish People is of GOD. History tells us from The Bible that The Children of Israel were beaten, and killed by their Egyptian slave masters, degraded and humiliated for 400 years. But miraculously The LORD GOD OF CREATION, THE GOD OF ISRAEL, showing miracles and wonders, and great power, drove The Egyptian Pharaoh to let GOD’S People go, and leave Egypt for their own Home Land that was not even their’s at the time. The final miracle of GOD that forced Pharaoh to let GOD’S People go was death to the firstborn Egyptians. GOD killed the firstborn of every Egyptian, including the firstborn of Pharaoh, and the firstborn of every Egyptian animal to convince the stubborn Pharaoh to Let GOD’S People go. And GOD called Moses to bring forth His People out of Egypt. And The Children of Israel, some three million people, and a mixed multitude with them set out on a journey to The Promised Land Canaan on foot, in wagons, on horses, donkeys and camels that took forty years to arrive at the doorstep of Canaan, The Promised Land that would become The Land of Israel. After 400 years of slavery, and then another forty years of walking through the great and terrible wilderness to possess the land of Canaan for their own Homeland whose boundaries were from a River in Egypt to The great River, The River Euphrates, a land area about one-fourth to one-third the size of the United States, The Children of Israel were preparing to possess nations greater and mightier than themselves, who were living in cities that were great and fenced up to Heaven. And if that wasn’t enough, GOD said through His servant Moses, You will battle a people great and tall, the children of the Anakim whom you know, and of whom you have heard say, Who can stand before the children of Anak? How impossible a task for these former slaves? And what was going through the hearts and minds of these People, The Children of Israel? And what was going through the hearts and minds of the Canaanite peoples as they looked and saw the masses of The Children of Israel on their borders, knowing from earlier reports that Israel had defeated and killed mighty armies who attacked them on their way to Canaan from Egypt? No one can defeat The Mighty Power of The Mighty GOD of Jacob. Did the Canaanite people know that? I don’t know. DEUTERONOMY 9.3 And Moses, The Servant of GOD Spoke The Words of GOD to The People of GOD, The Children of Israel. And he said, Understand therefore this day that The LORD YOUR GOD is He Who goes over before you. As a consuming fire He will destroy them, and He will bring them down before your face so you will drive them out and destroy them quickly as The LORD has said to you. And following those words, Moses said to The Children of Israel, Do not speak in your heart after that The LORD YOUR GOD has cast them out from before you, saying, For my Righteousness The LORD has brought me in to possess this land. But for the Wickedness of these nations The LORD does drive them out from before you. Obviously, with The Children of Israel at the doorstep of Canaan to conquer their land, the iniquity of the Amorites, a general term for all the Canaanite nations, was full and complete. And as Moses said, and GOD must have given him The Words to speak to The Children of Israel, It is not for your Righteousness that GOD gives this Land to you, but for the Wickedness of these Canaanite nations does The LORD drive them out from before you. I don’t want to go into the Wickedness of the Canaanites, or the lack of Righteousness of The Children of Israel, who are today The Jewish People. What I want to focus on is being a Child of GOD, and its great rewards. I have no idea what the Canaanite population was at the time The Children of Israel conquered their land and drove the Canaanites out. But there were ten nations in that land. The Kenites, the Kenizzites, the Kadmonites, the Hittites, the Perizzites, the Rephaim, the Amorites, the Canaanites, the Girgashites, and the Jebusites. Nations greater and mightier than The Children of Israel. THE LORD CHOSE THE JEWISH PEOPLE TO BE HIS WITNESSES, AND HIS SERVANT TO WRITE THE BIBLE FROM GENESIS THROUGH REVELATION THAT TEACHES ALL MANKIND HOW TO LIVE AND HAVE A GOOD LIFE ON EARTH, AND ETERNAL LIFE IN HEAVEN. GOD was not about to let His People be destroyed and wiped off the face of the earth in Egypt, or by the brutal attacks of the Crusades, or the Pogroms, the Inquisitions, the Holocaust, or today by those who hate His People, because GOD loves His Jewish People, and He has a Mission for His Chosen People. Earlier, GOD’S Mission for His Jewish People was to Write The Bible from Genesis through Revelation, which we did. The Bible teaches mankind about THE ONE GOD, and what GOD requires from all Mankind. And what GOD requires from all mankind is Obedience to every Word that He Speaks in The Bible. GOD’S next mission for The Jewish People was to bring forth The Jewish Messiah Yeshua from The Jewish People for all mankind. For the sole purpose of giving His Life for your Atonement, for the forgiveness of all your sins. The Jewish virgin Miriam gave birth to The Messiah Yeshua Who is GOD ALMIGHTY, HA SHEM ELOHIM WHO GAVE HIS LIFE AS A HUMAN BEING FOR YOUR ATONEMENT, THE FORGIVENESS OF ALL YOUR SINS. GOD said to Moses, Whosoever has sinned against Me, that person will I blot out of My Book. GOD’S Book is The Book of Life. For whosoever is not found written in The Book of Life, GOD Said, will be cast into the lake of fire. And GOD has another mission for His Jewish People for an unknown purpose at this time. GOD will choose 144,000 Jewish People who will be The Servants of our GOD who will come from The Twelve Tribes of The Children of Israel who today are The Jewish People. I believe The Mission for those 144,000 Jewish People will be to preach The Gospel of The Kingdom in all the world for a witness to all nations. And then the end will come. MATTHEW 24.1-14, REVELATION 7.1-8, REVELATION 8 AND 9 SPEAK OF END TIMES EVENTS. THE GOSPEL IS NOT PREACHED IN THE CHURCH. ALL YOUR SINS ARE FORGIVEN WHEN YOU HAVE FAITH IN THE JEWISH MESSIAH YESHUA, WHO IS GOD ALMIGHTY, HA SHEM ELOHIM. AND ALONG WITH YOUR FAITH IN MESSIAH YESHUA WHO HAS FORGIVEN YOU ALL YOUR SINS, GOD REQUIRES YOU TO TURN TO THE LORD YOUR GOD AND LIVE YOUR LIFE IN OBEDIENCE TO EVERY WORD GOD SPEAKS IN THE BIBLE. EVERY WORD GOD SPEAKS IN THE BIBLE INCLUDES ALL GOD’S LAWS, TEACHINGS AND INSTRUCTIONS THAT ARE WRITTEN IN THE LAW OF MOSES IN THE FIRST FIVE BOOKS OT THE BIBLE. AND THE TEACHINGS OF THE PROPHETS. AND GOD WILL BLESS YOU WITH A GOOD LIFE ON EARTH, AND ETERNAL LIFE IN HEAVEN. FOR THAT IS THE FOUNDATION ON WHICH THE BIBLE STANDS. AND THAT IS THE GOSPEL, THE GOOD NEWS, LIVING YOUR LIFE BY EVERY WORD THAT GOD SPEAKS IN THE BIBLE, AND HAVING ATONEMENT FOR YOUR SINS THROUGH YOUR FAITH IN MESSIAH YESHUA THAT RESULTS IN GOD BLESSING YOU WITH A GOOD LIFE ON EARTH, AND ETERNAL LIFE IN HEAVEN. Earlier Atonement was made by the animal sacrifice. But after the Romans destroyed the second Temple in 70 C.E./A.D., the animal sacrifice ended, and Atonement is now made by The Atoning Death of The Jewish Messiah Yeshua. Quite frankly, GOD teaches The Gospel very early in The Creation in The Garden of Eden when GOD gave Adam a Commandment to Obey. BUT ADAM, WHOM GOD CREATED TO LIVE FOREVER ALONG WITH HIS WIFE EVE, REFUSED TO OBEY GOD. And as a result of their Disobedience to The Commandment of GOD, Adam and his wife Eve died. Now, being a Child of GOD. Being a Child of GOD is living your life according to The Gospel. Living by every Word GOD Speaks in The Bible. And that includes Obedience to Torah, His Law of Moses Written in the first five Books of The Bible, and obeying The Teachings of The Prophets. And having Faith in The Jewish MESSIAH YESHUA for your Atonement, the forgiveness of all your sins. Then THE LORD YOUR GOD will Bless You with a Good Life on earth with testings, and Eternal Life in Heaven. Posted on April 8, 2018 April 10, 2018 Categories Shabbat MessageLeave a comment on WHAT IS THE GOSPEL?